Want more science? Sign up for FREE updates here! 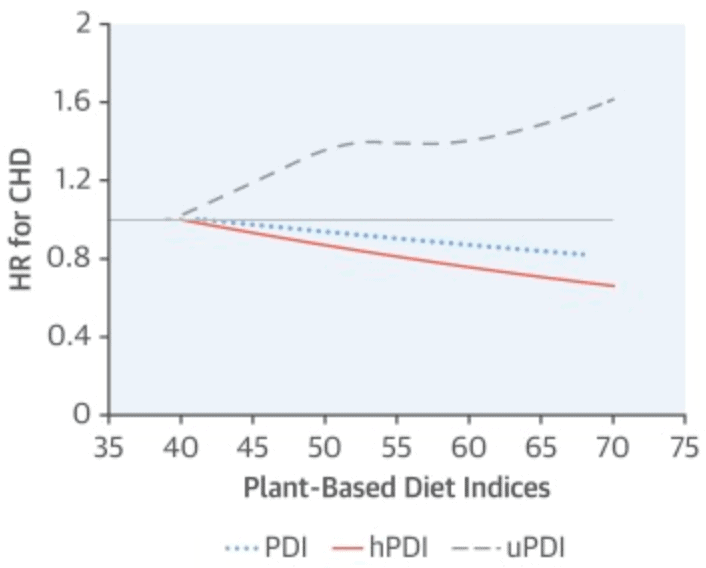 Today, let’s review a new scientific study hot off the press… about plant-based diets! We see plant-based studies in the news quite often. But what’s a “plant-based diet” anyway? Some say it’s a vegan diet. While many argue it’s a diet where you eat mostly whole foods coming from plants (70-90% of calories), PLUS a relatively small amount of food from animal sources (typically yogurt, eggs, fish or poultry). What are plant foods specifically? As the name indicates, plant foods are edible food substances derived from plants. Are all these really “healthful” just because of their plant origin? Or could eating some of them regularly increase our health risks? This makes it very difficult to compare studies “like for like”, since the findings are about different ways of eating! That’s why a group of researchers are steering a new direction to fix these inconsistencies… and I personally like that. I think these variations initially make sense. Also, including different dietary choices feels more “democratic” and inclusive. After that, the researchers measured the amount of either hDPI or uPDI foods eaten by the participants over 2 years, while performing medical check-ups on their health. All 209,298 participants were healthy men and women at the start of the study. How did their plant-based eating affect their health? 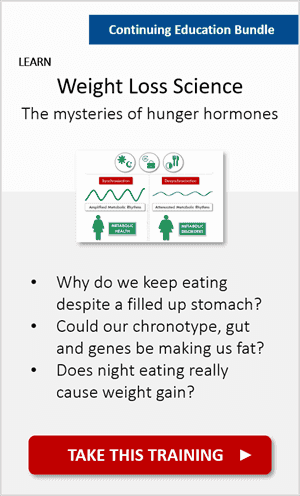 Well, the answer is in the type of foods they ate… and the amounts! (In science, everything is “dose or amount dependant”). Participants with higher hPDI scores had lower disease risk, in particular heart risk. A high hPDI score is based on eating more of the foods listed in the Healthful Plant-Based Diet Index. Conversely, those with higher uPDI scores showed higher heart disease risk. A high uPDI score is based on eating more of the foods listed in the Unhealthful Plant-Based Diet Index. 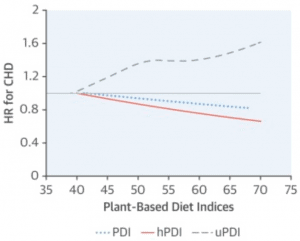 Overall, higher amounts of “healthier” plant foods were associated with lower risk. 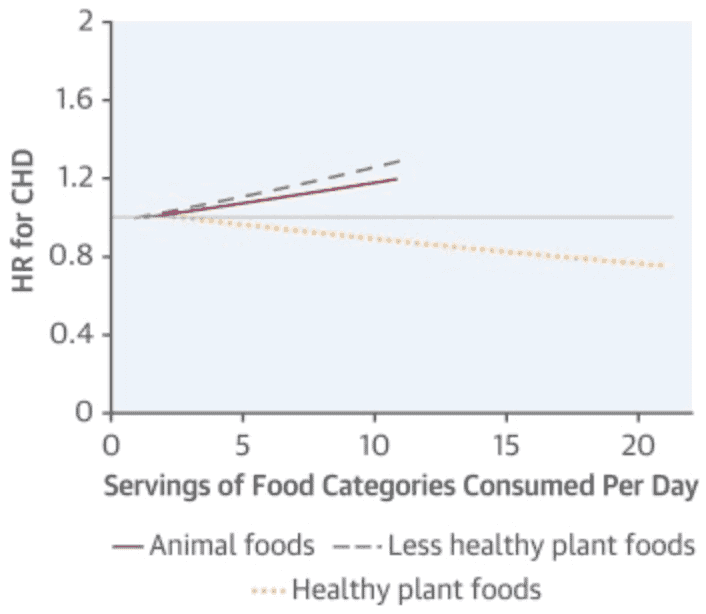 Whereas higher amounts of either “less healthy” plant foods were associated with higher risk. How is this study making us smarter? Because if a person’s plant-based diet consists PRIMARILY of chips, crisps, fried foods, sweets, brioche buns and juices, the person’s health risks may be higher. The nutritional quality of plant foods can vary significantly. So it’s crucial that we take into consideration the quality of foods in someone’s plant-based eating practices. For that reason, when assessing, planning or personalising a client’s diet, it’s important to be specific. And when we look for diet quality, the devil is in the detail. 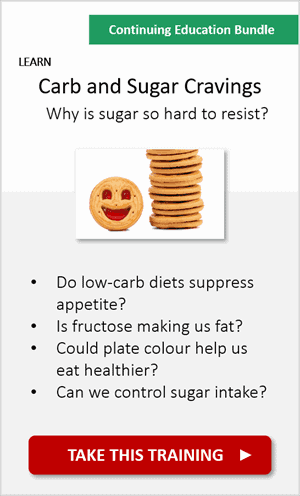 Sugar is a plant food. Fructose is a plant food. Fries are a plant food. 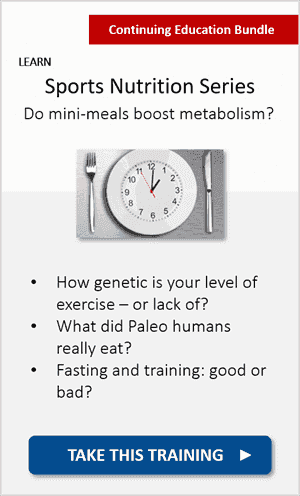 Sometimes, smaller yet SMARTER dietary tweaks (rather than massive changes) can also be encouraging and go a long way! Are you a plant-based eater? If so, which of the 3 definitions of plant-based eating are you closer to? Mostly plants with some animal foods? Or all vegan? Tell us in the comments below, and share this with someone who enjoys plant-based eating! P.S. Okay, I’ll go first! In case you’re wondering, in our team of scientists we have 1 vegan, 2 vegetarians, a plant-based eater “with benefits” (yours truly! ), a couple of (very healthy) meat and cheese eaters, a sporadic low-carber/keto, some meal-skippers… and the list continues… because guess what? 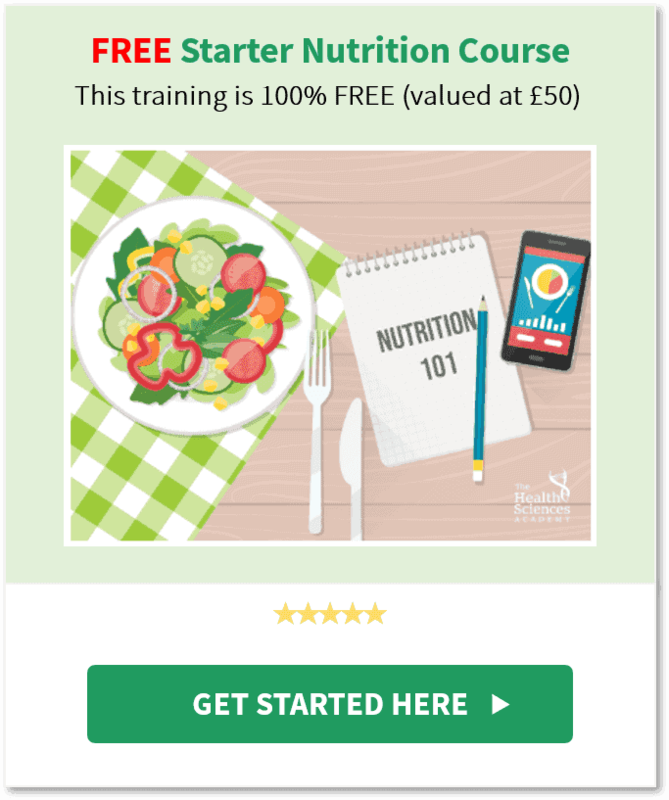 Want to become a Plant-Based Nutritional Advisor? To be notified when this new certification goes live, raise your hand by clicking here! The overall topic and explanation has been so nice and its modal for good health habit. I real look forward to get to know more. The overall topic is very interested and its way forward for health grow modal once followed it will make everyone to their body status. I go more for a healthful plant & fungi-based diet. I’m an ethical vegan following a very hPDI! You include oils in your list of Healthier plant foods. All vegetable oils are highly processed, and should be used sparingly as consumption; even smaller amaounts can result in significant health risk. Hi Nyc, thanks for sharing! 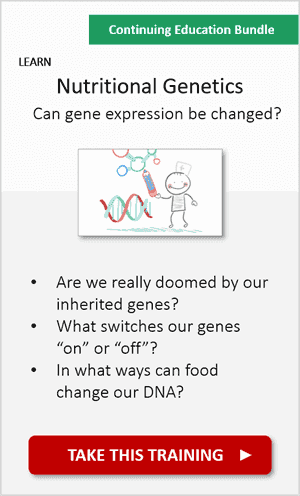 Everything is “dose dependent” as Alex said, and everyone metabolises different fatty acids in different ways based on a combination of genetics, epigenetics and environmental factors. If you’re new here, these are some useful resources for you: https://thehealthsciencesacademy.org/health-tips/oils-for-cooking/ and https://thehealthsciencesacademy.org/health-tips/saturated-fat/ Enjoy! Thank you so much for providing us with the latest science based research! I am a hPDI vegan and I feel amazing. 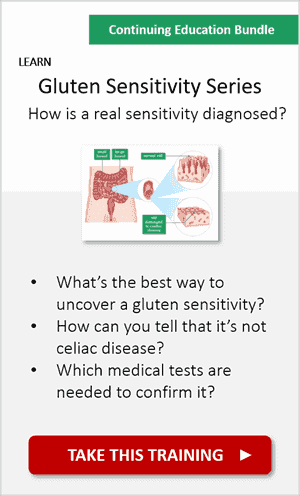 I have recently had a nutritional analysis done (blood work) and am deficient in nothing! I am also a professionally trained plant-based chef, so preparing healthy foods is easy for me and is something I try to share with clients and friends. I try to eat more healthy vegetables and less amount of animal food, but I do not always get it for my work.Sometime I´m stay out , so ussually eat a sandwich, but at home my diet is all healthy. Great article. There are so many different documentaries about plant-based diet that this information is crucial. Not everyone understands that there are some healthy and unhealthy ways of eating within it. Thank you. when you say “fries” what does that mean exactly?? Fries cooked in oil? if so what kind of oil? baked fries? mcdonalds fries? organic fresh cut fries??? Theres a big difference between all of these. Hi Tony! The scientific papers assigned reverse scores to French fries (“chips” in the UK – i.e. fried potatoes) and crisps (“chips” in the US). I hope this helps! It´s so great to see this study come out. I know of vegans that practically live off of processed “mock meats” and I know vegans that only eat fresh fruits and vegetables, grains, and beans. And yet they are both considered vegan. I would assume their blood profiles differ! I am the hDPI vegan on the team. Though I will admit, that on occasion, I do like to have a little bit of something unhealthy. I also just wanted to remind everyone that a healthy plant-based diet is not the cure for everything! There is so much false information out there with news like “a raw vegan diet (or insert other lifestyle/diet) cured my cancer”. Can it help? Sure. 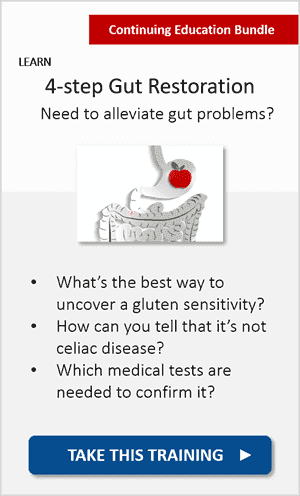 Should you switch your diet and avoid all other treatments or therapies? Probably not. Instead, a healthy diet (and lifestyle) can work WITH a physician´s plan of action instead of replacing it. Too many variables. The researchers seem to have a bias against animal products. Just as some plant based foods are healthier than others so are animal based foods. The best diet for bumans should include “healthy” animal products. We are omnivores. B12 is one indicator of this. Due to genetic differences [as Maria pointed out] and ethical preferences, many of us are drawn to plant based diets. I’ve been helping people successfully reduce or eliminate their type 2 diabetes medications, normalise their bad cholesterol levels, lose weight and improve many niggly health issues. I do that by guiding them through the often confusing maze of vegan eating plans and write mouthwatering recipes for them. The frustrating issue in my niche is that some members of the public either misinterpret the free online plans that are ‘kindly’ given out like lollies to children; or that their system is not well suited to the dubious recommendation that a one-size-fits-all diet is for them. Others follow a very high starch, zero fat plant based eating plan, happily devouring delicious “all you can eat” bowls of muesli, rice, pasta, potato, sweet potato and quinoa, beans etc. with minute flecks of vegetable matter and then wonder why they end up with unwanted weight gain. 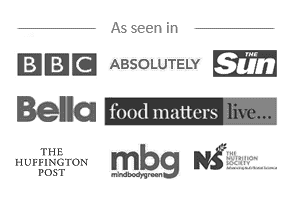 The explosion of interest in plant based eating is partially due to various laser focused documentaries that have been released in recent times. They are pointing to either the eye opening health benefits that can occur for a section of the population by omitting animal based foods or the gross mistreatment of farm animals in our care. Either way, after viewing any of these documentaries, people get carried away on a wave of emotion and decide plant based is the way to eat from now on. But many start off by simply leaving away animal based foods and end up unwell. 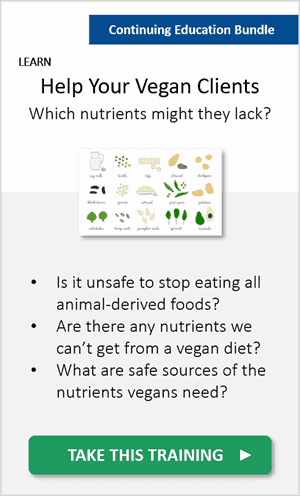 Once they realise that maybe some consideration should be given to nutritional needs, another problem can start…. Namely the lure of the loudest voices online can romance them into thinking the recommendations by their chosen ‘guru’ is written in stone and will guide them towards everlasting health. I often point out that specific plant based eating styles are not to be followed like a religious sect, but also need to be adjusted to suit the individual’s needs. Just like an omnivore’s diet: vive le difference! Good job of putting science into dieting. We all have different genetics. Chrispo – It depends on the person. But we can say that VEGAN diets don’t include any animal products (honey is considered an animal product, for example). When you read this article, you’ll notice that there are many definitions of plant-based diets. While everyone else out there is fighting and getting emotional based on their own dietary ideologies, we need to be more inclusive and respectful of people’s food choices. Also, science is moving fast so it’s important to keep an open mind and be more willing to continue learning. I’m open minded and I enjoyed reading this article and the comments. I base my diet on plants mostly, with some animal products too. I like honey, eggs, yogurt, etc. I feel discriminated when people tell me I’m not plant based because I feel I am since most of my food comes from plants. When people talk about ethics, plants are also living things we’re eating and in many cases exterminating… but we have to eat to survive… we’re still at the top of the chain as predators. I believe in enjoying an eating regime that is full of diversity and variety that allows us to all perform optimally, live with effervescence and vigor, and provide the environment that allows us to massage our DNA and genome which then optimises our physiology to be working for us and not against us! Myself personally i enjoy eating a huge array of plant based foods full of fibre, antioxidants, phytochemicals (mother natures pharmacy) and then add to this plenty of legumes, pulses, high fat fish, quality essential fatty acids, and dairy as close to nature as possible. I guess by trying to pigeonhole myself with a label i would fall into the category of the Pescetarianism!